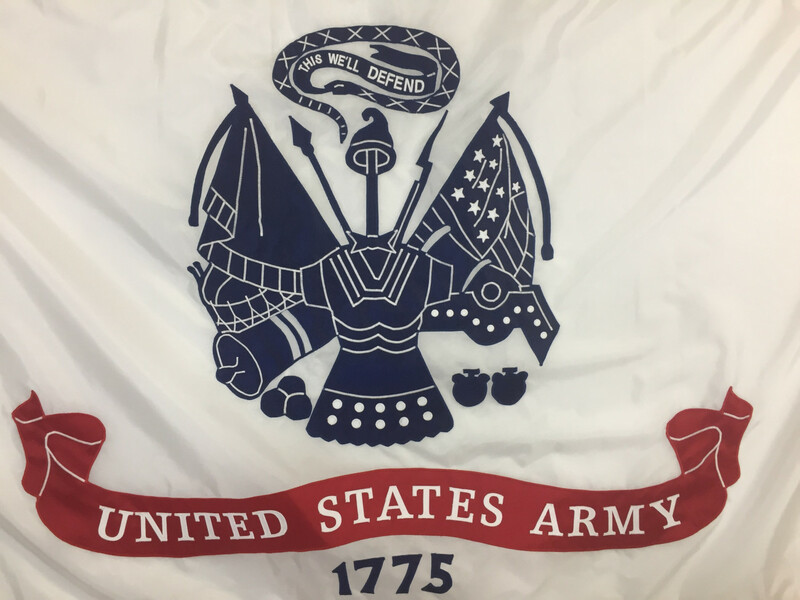 Our impressive Army applique flags are a sight to behold! 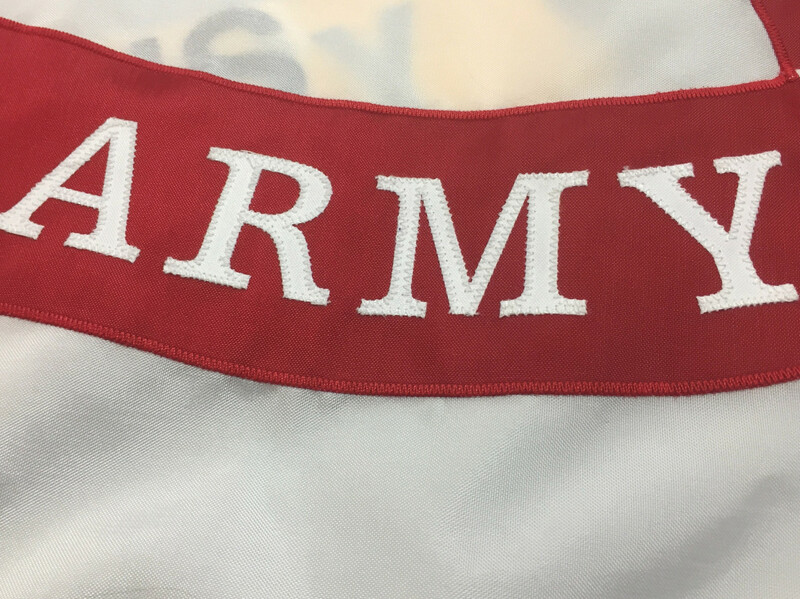 Featuring layered designs, letters and insignias hand stitched into place, these flags are expertly crafted by our seamstresses right here in the USA. Made of nylon fabric with fringe around the edges, these flags are ideal for indoor use and lend an air of formality to any event or presentation. 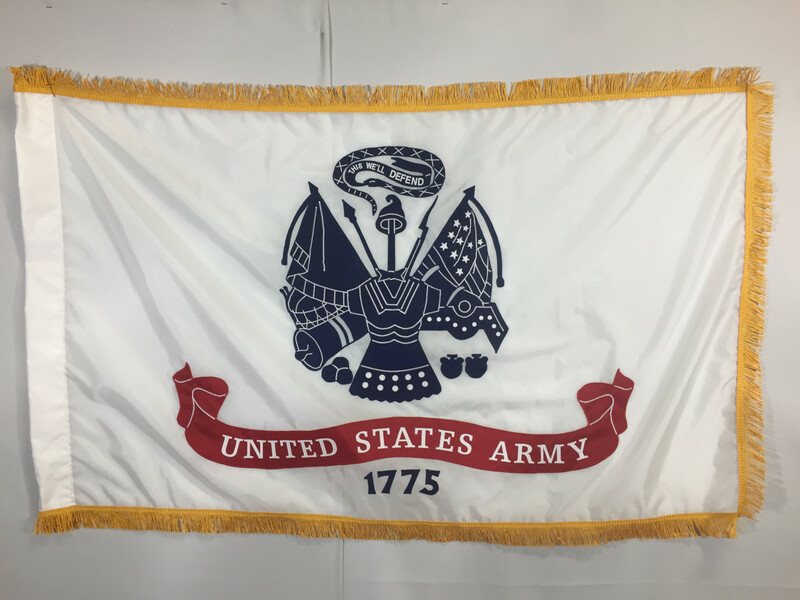 Carefully crafted by hand here in the USA, our applique Army flags feature pole hem and fringe for formal indoor use. All designs on the flag are cut from layers of nylon and sewn into place. Our attention to detail and the care we take to craft these beautiful flags truly sets them apart. 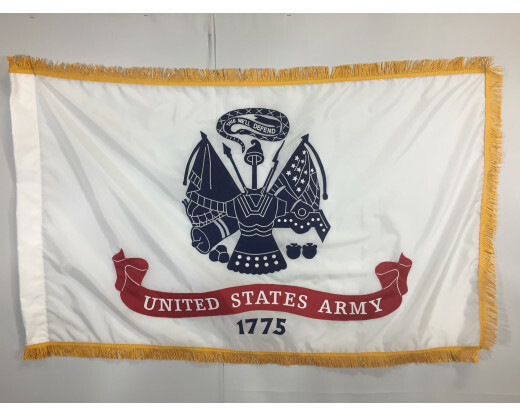 Interested in Military Applique Flags for Other Service Branches? 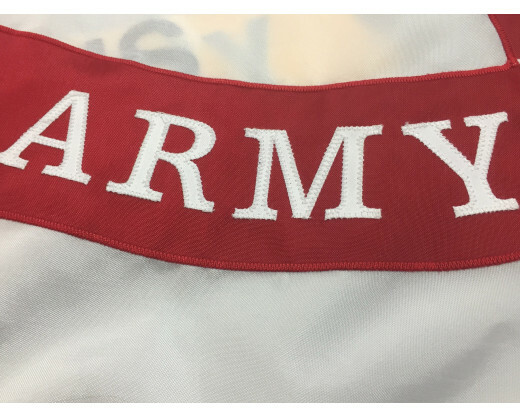 In addition to our Army applique flag, we also carry Navy, Marine, Air Force and Coast Guard applique flags. 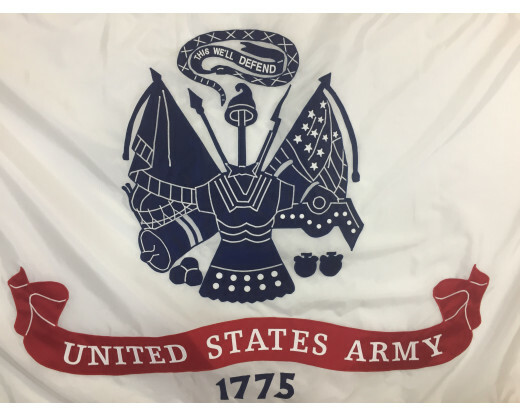 Looking to create a customized military applique flag? Be sure to browse our Custom Applique Flag Portfolio for ideas and inspiration!